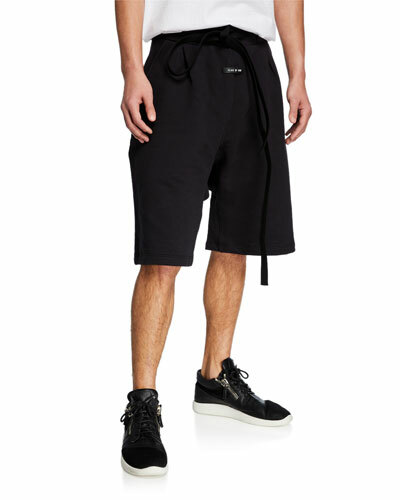 Make a bold fashion statement with Neiman Marcus’ selection of urban and hip men’s shorts. Our versatile collection includes cargo, denim, slim-fit shorts, and more. Whether you’re taking a leisurely stroll or going on an outdoor adventure, Neiman Marcus offers you a multitude of choices. Our selection effortlessly blends youth culture with classic sensibility. 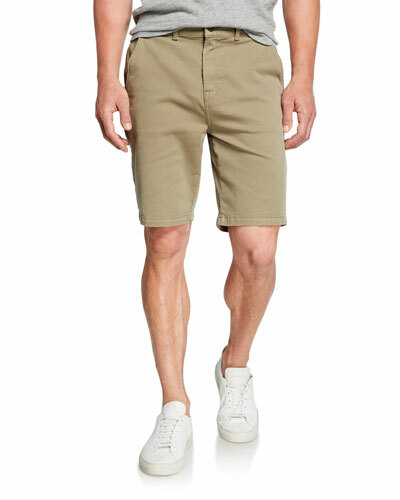 Try one of our men’s twill shorts with stylish loafers to complete your beach outfit. The cargo shorts with front or back pockets come in handy during hiking. For a traditional look, solid colors, like khaki, white, navy, and olive are a must-have. 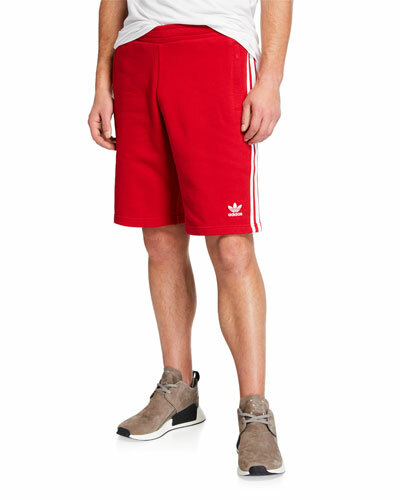 Browse through our collection of men’s sweat shorts to keep you comfortable to and from the gym. 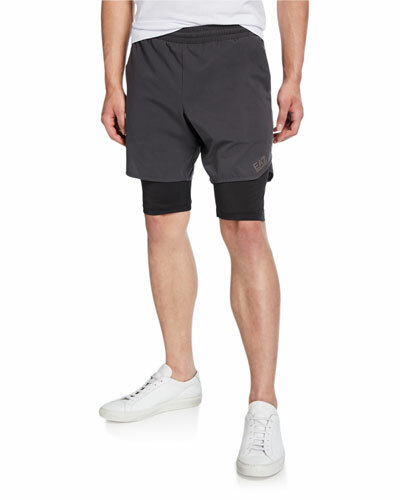 Shop Neiman Marcus for a vast assortment of men’s shorts, and give your laid-back appearance a stylish twist. 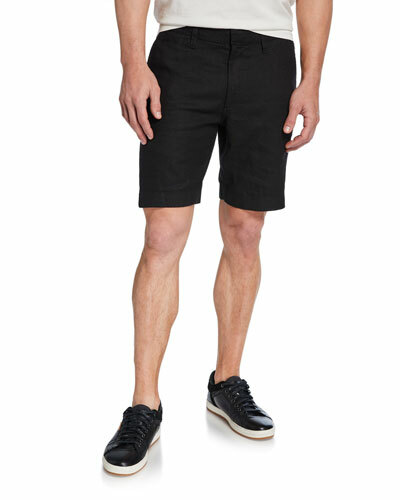 Joe's Jeans "Brixton" shorts in 6.25-ounce stretch denim. Side slip pockets; back welt pockets. Straight-leg fit. Knee length. Button/zip fly; belt loops. Cotton/spandex. Imported. 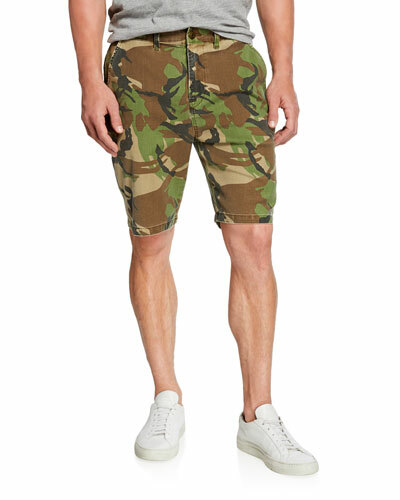 Model's measurements: Height 6'1"/185cm, waist 32"/81cm, typically wears size M.
Joe's Jeans twill shorts with flat front. Side slip pockets; back welt pocket. Modal blend, garment dyed sateen provides a very soft hand for this updated twill . Straight-leg fit. Button/zip fly; belt loops. Polyester/spandex. Imported. Model's measurements: Height 6'1"/185cm, waist 32"/81cm, typically wears size M.
Peter Millar Crown Collection shorts in soft-touch twill. Quarter top pockets; back button-welt pockets. Regular rise. Flat front. Straight leg. 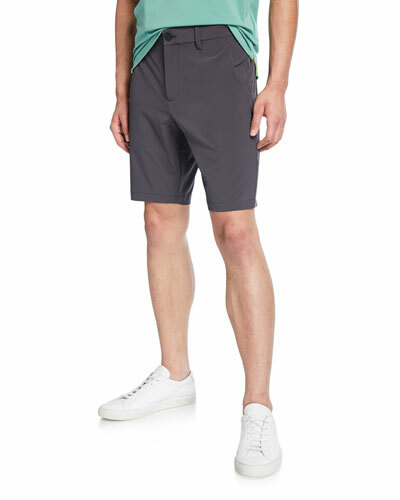 Peter Millar Crown Collection shorts in soft-touch twill. Quarter top pockets; back button-welt pockets. Regular rise. Flat front. Straight leg. Button/zip fly; belt loops. Cotton/spandex. Imported. Model's measurements: Height, 6'1"/185cm, waist 32"/81cm, suit 40L, shirt 15x34, inseam 32"/81cm.